Typhoon Conson moved into the East Sea July 14, after ripping across the Philippines, killing at least 20 people and leaving 60 other missing. 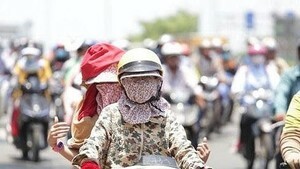 At 4am on July 15, the storm was centered 16.5 degrees north latitude and 115.8 degrees east longitude, 400 kilometers east off Hoang Sa (Paracel) Islands, said the National Center for Hydro Meteorological Forecasting. Areas near the storm’s eye experienced sustained winds of 75-102 kilometers an hour. In the next 24 hours, the typhoon is forecast to move west-northwestward at a speed of 20 kilometers an hour and will intensify. 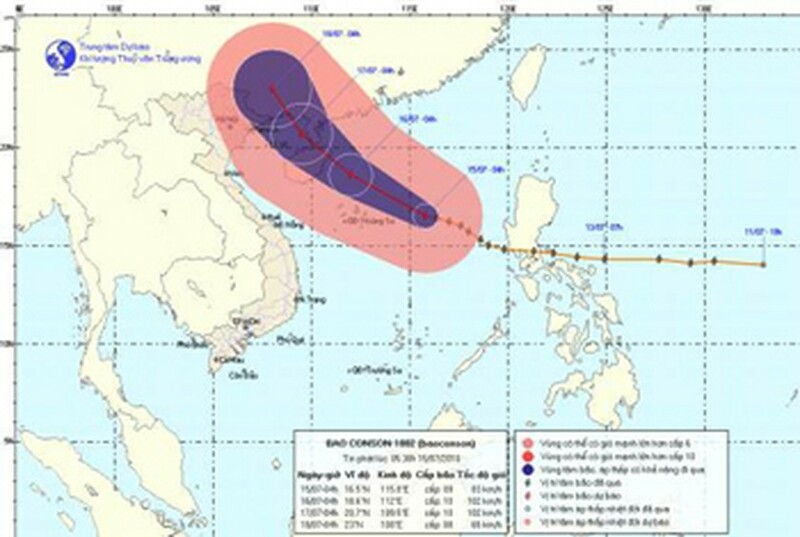 By 4pm July 16, the typhoon is expected to be just 200 kilometers north of Hoang Sa. Winds near the storm center will reach 89-102 kilometers an hour, with gusts up to103-133 kilometers an hours. The Central Steering Committee on Flood and Storm Prevention said Conson is a dangerous storm and called on boats to seek shelter. About 42,298 boats with 190,266 fishermen are reportedly at sea. Authorized organizations have rushed to communicate with the boats to guide them to move out of the Conson’s path. As of July 14, they reported that about 151 boats had not yet been contacted. According to AFP reports, Typhoon Conson ripped across the Philippines on July 14, killing at least 20 people, destroying shantytowns and causing widespread blackouts that brought the nation's capital to a standstill. Sixty other people were reported missing after Conson hit the Southeast Asian archipelago late on Tuesday, then whipped the main island of Luzon throughout the night with wind gusts of 120 kilometres (74 miles) an hour. Extreme heat can lead to illness and even death for some people; therefore, the health experts recommended adults and children to drink a lot of water, not venture out unless necessary or work outdoor under the sunlight between 11am and 4pm, ensure a balanced nutritional diet to strengthen the resistance left in these hot days.